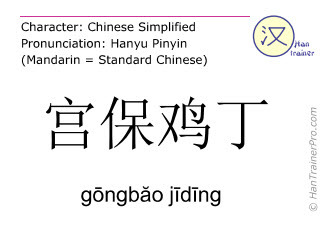 You cannot listen to the pronunciation of gongbao jiding because your browser does not support the audio element. You can do better than looking up Chinese words: Learn Mandarin! - it's worth a try!